Making your voice count for health and social care services. 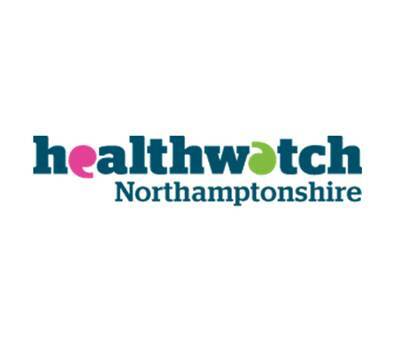 Healthwatch Northamptonshire is the independent people’s champion of health and social care in the county. They give patients, service users and local people an opportunity to influence and challenge decision makers about local health and social care services. Everything that Healthwatch Northamptonshire does brings the voice and influence of local people to the development and delivery of local services. Volunteering - to help out in the office, at events, to provide talks about them to local groups and organisations. They train volunteers to become authorised representatives to deliver their activities, including visiting health and care services to talk to service users, relatives and staff to find out their views and experience. Planning and working groups made up of volunteers who meet regularly to discuss and respond to current local issues in health and social care.